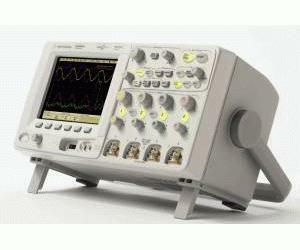 Voted 2008 Best in Test by Test and Measurement World Magazine, Honorable Mention! Speed debug process with high definition display, fast sample rates, deep memory, minimal dead time and impressive update rates. Drill down and see problems that were hidden with other outdated scopes. Don't miss infrequently occuring events. Enjoy a small footprint, flexible connectivity and affordable pricing.